The two-toned Murano glass PerlaVita beads are some of our most popular. Split right down the middle, each bead has two distinct colors over a base of silver foil. This 15mm x 10mm rondel shows a deep, cobalt blue and clear(cristallo), anchored by sterling inserts. 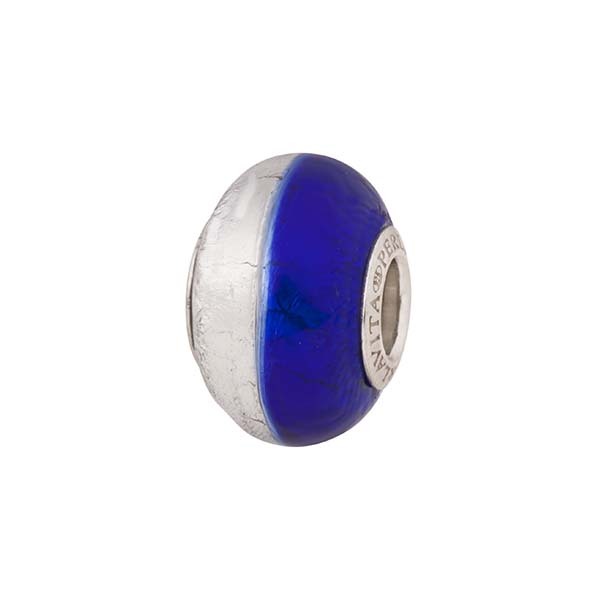 With a 5mm hole, this bead will fit on Chamilia, Pandora, Troll, and major brands. Venetian Jewelry at its best. Complete with authenticity card.